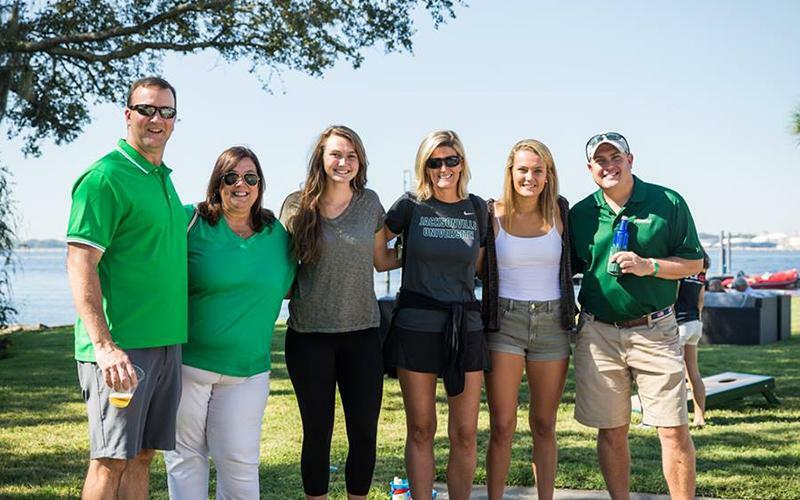 Homecoming & Family Weekend | Jacksonville University in Jacksonville, Fla. Welcome Alumni, Parents and Families! Please makes plans to celebrate with us on October 18-20, 2019. We look forward to celebrating reunions for the classes of 1969, 1994 and 2009 and Alpha Delta Pi. If you would like to serve as a class agent, please e-mail teamju@ju.edu. 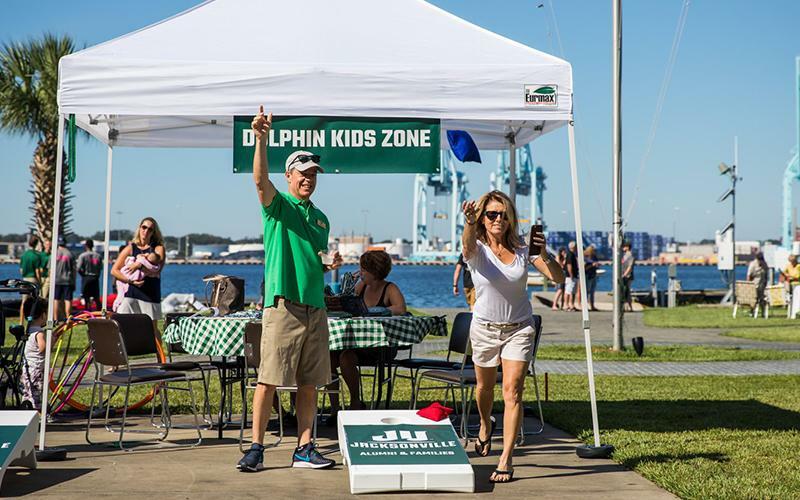 Homecoming & Family Weekend is the perfect time to show your Dolphin pride, reconnect, spend time with family and discover the ever-changing JU Campus. Homecoming & Family Weekend takes place on October 18-20, 2019. Let’s make some new memories! Jacksonville University held its first Homecoming banquet at George Washington Hotel, with Congressman Charles E. Bennett as the speaker on November 23, 1951. In 1969 JU welcomed Neil Diamond to campus to take the stage in front of students, alumni and faculty. In 1981, Bruce Springsteen brought more than 10,000 fans to the coliseum to celebrate Homecoming, where students enjoyed Springsteen tunes and the Doobie Brothers. 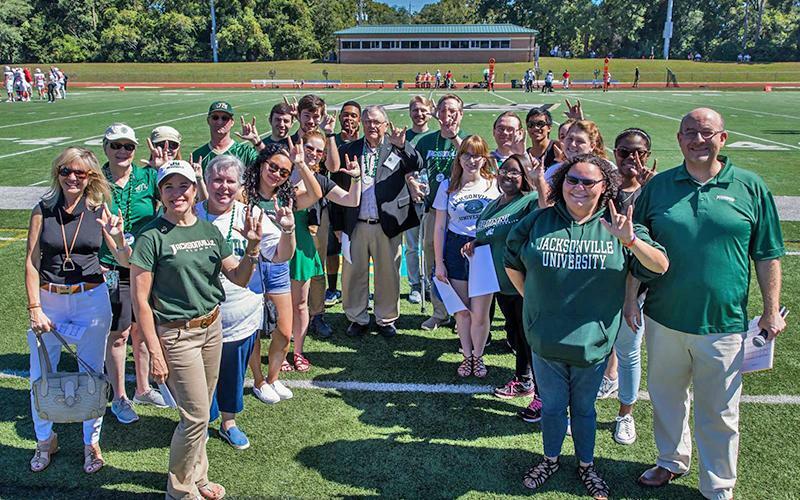 Throughout the late 90’s and early 21st century the week of Homecoming has been expanded and JU has adopted some new traditions like Mock Rock where students get together and put on skits, and Phin Splash, our Spirit Showcase and comedy show. There are plenty of opportunities to sponsor Homecoming & Family Weekend. 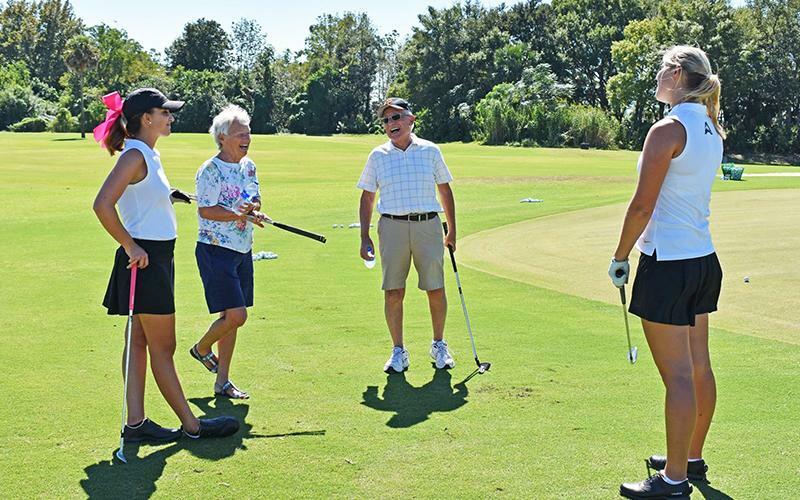 Contact University Advancement at teamju@ju.edu to find out how you can be a sponsor. View last year's schedule of events below and stay tuned for the 2019 schedule to be released in June. 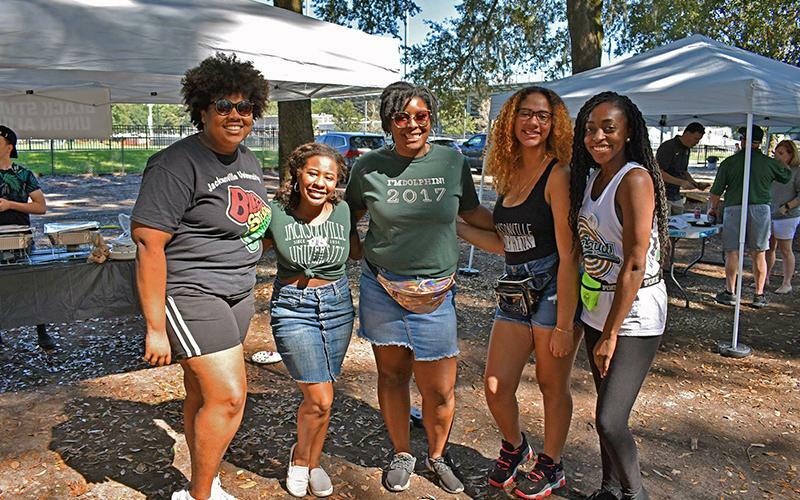 Feel free to contact us at teamju@ju.edu with any feedback or suggestions for #JUhomecoming 2019! For information on Homecoming & Family Weekend, you can contact us at teamju@ju.edu. A room block is available for Dolphin alumni and families at Hampton Inn Oceanfront Jacksonville Beach. Reserve your room by the beach. Rooms are also available at Courtyard Jacksonville, just 10 minutes from campus. Book by October 5, 2019 to receive our group rate. Reserve your room close to campus. Hyatt Regency Jacksonville Riverfront is offering a block of rooms for Homecoming & Family Weekend guests as well. Reserve your room using the below link or by calling their reservations line at (800) 233-1234 and referencing the group code JUHF. Rooms must be booked by September 26, 2019 to receive our group rate. 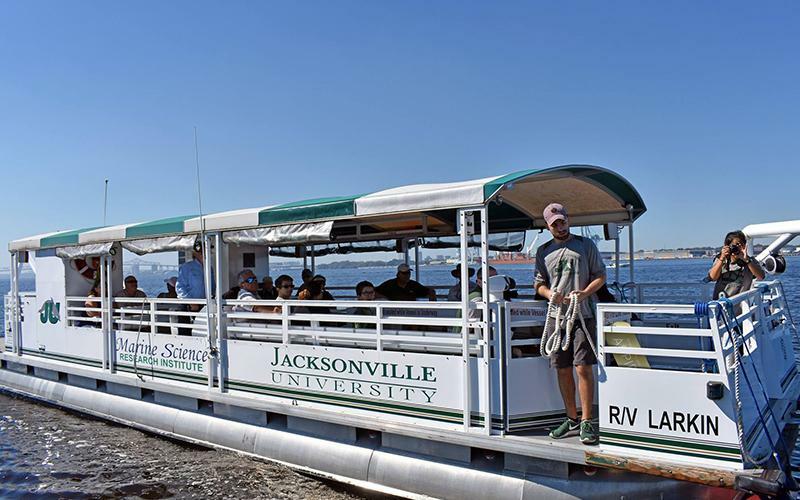 Reserve your room by the river in Downtown Jacksonville. One Ocean Resort & Spa in Atlantic Beach is offering Dolphins a discount code. Visit One Ocean's website, click on "Special Codes" and use CORP1 in the Corporate/Promotion Code box, then choose your room!